Hi guys, Rachel here! 🙂 Welcome to theHealthBase, where myself and the Team try to answer the questions that matter in regards to Health and Beauty. 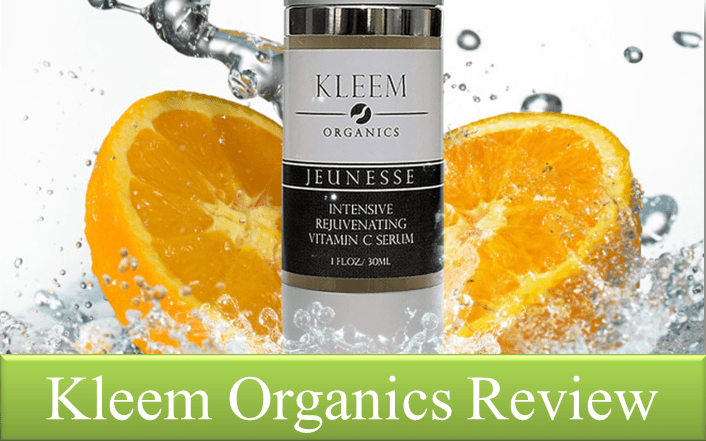 For this particular review, I will be discussing the Vitamin C Serum created by Kleem Organics - the product that we at the Health Base believe is the best of its kind available on the market today. Feel free to skip ahead to any section that catches your eye by simply clicking on the related link below. I've also added in some clickable buttons every now and again - these will lead you to the place that sells this product at the best price. Also, it might be worth your time to have a read of our Vitamin C Serum Guide as well. 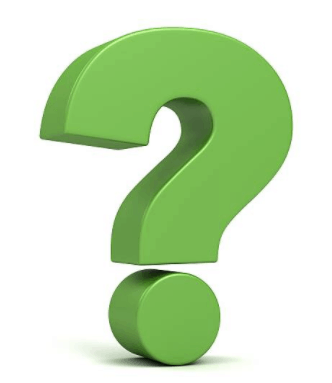 Why Do We Review Products? I have always been a huge fan of Vitamin C. Whether it be from foods like oranges or sweet potatoes, or plain ole orange juice, I’ve made sure to incorporate this essential mineral into my dietary routine. 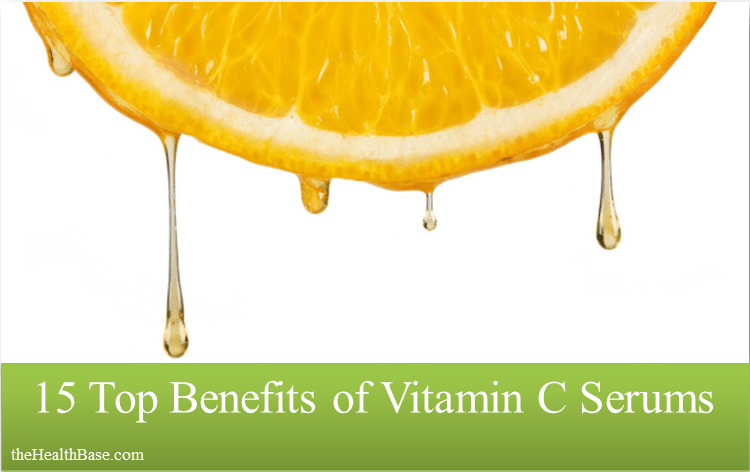 The benefits of the Vitamin C really are so numerous and extensive. So, when I first found out about Vitamin C Serums, it’s fair to say that I was pretty excited! These creams promised to deliver the best form of Vit C in the most efficient application method. It’s fair to say that I was quite eager to give it a go. The first Vit C cream that I bought ended up being too much for my skin in terms of the L-Ascorbic acid concentration percentage. I think the percentage was 30% if memory serves – this caused my skin to become irritated and red. To cut a long (and exhaustive) story short, I eventually did the proper research and understood which one was the right one for me. I needed a lower percentage and a product that was suitable for all skin types. After looking for such a option, and trying a few inferior brands, I soon happened to come across the brand you're reading about now.. The product employs 20% L-Ascorbic acid which proved to be perfect for my skin. In fact, I believe that this level of Vit C concentration is ideal for any newcomer due to the fact that it’s suitable for all skin types. Enough of my story, however, let’s get down to the brass tacks of the issue – the option supplied by this brand and why it’s the best Serum on the market today. Enjoy! The Kleem Brand is a well established fixture in the beauty niche. It possesses a blemish free record in terms of its reputation and has gained the respect and trust of other brands and customers over the years. The brand itself was founded by two respected doctors – Dr. Sorato and Dr. Meli. These two work as the leading developers of the brand. As such, they are responsible for the Serum that I will be reviewing today. Dr. Sorato gained his education at the University of Verona, Italy, graduating with honors in the field of Biotechnology. His outstanding work includes the scientific research into the interaction between cells; their overall behavior; and how they interact with the environment. Dr. Meli on the other hand graduated from the University of Malta with honors in Physiotherapy. Dr. Meli also has extensive work experience in the area of sales – something that became invaluable as he and Dr. Sorato looked to establish their brand. The ethos of this brand is a simple yet comforting one – that quality is far more important than quantity. Therefore, rather than saturating the market with numerous products and promotional efforts, Dr. Sorato and Meli's brand instead try to provide quality products that do the brand proud. It is essential that Vitamin C Serums come in packages that are both airtight and opaque. This is because sunlight and excessive air will quickly degrade the Vitamin C in the formula – this is a natural process but one that can be slowed with proper care. The Serum comes in an airtight and opaque bottle. This bottle is actually fitted with a pump which allows the cream to be extracted from the bottle without exposing it to the outside world. This is a quality safeguard for the cream to possess. Overall, this will result in your Vit C Serum lasting for its maximum possible shelf life. This is certainly a key area of Vit C Serums. If the ingredients are not correct, or the volume of these ingredients are off, then the resulting cream will be ineffective, or even worse, harmful. Luckily, the guys and gals at KO have done the correct research and testing to provide a top class Serum. In terms of consistency, the cream is a clear liquid that is light in weight. This makes it easy for the skin to absorb rather than some products which can be quite sticky. The Serum is also fragrance free which means you don’t have to worry about any smell or the like. This means that the product can be used at any time as it will simply disappear into your skin unnoticed and without leaving any smell. Unless you have dry or sensitive skin, you really want to be aiming for a Serum whose formula is based on L-Ascorbic acid. This is the purest form of Vitamin C and as a result will have the greatest impact and benefits. In terms of the percentage, I’ve said already that starting with a 20% concentration is the way to go. Anything higher than this could very well be too much for your skin so it’s far better to start with a lower percentage – this allows your skin to get accustomed to the new Serum. You can then go up to 30% if you feel that you can handle a higher dosage. 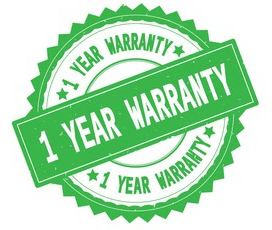 As with every product, it's key that you look for a warranty or a money back guarantee. While it is rare that you’ll purchase a faulty product or one that you’ll wish to return for whatever reason, it does happen. A huge amount of Vit C Serums only give a 30 Day Money Back Guarantee. This, in my opinion, is far too short. You’ll need longer than a solidary month to gauge whether the product is doing its job or not. The money back guarantee lasts for…wait for it…a whole year!! This really is a super offer that guarantees your peace of mind when it comes to using this product. It gives users tones of time to figure out if the Serum is the best one for their facial complexion. Personally, this is a key aspect that I ensure to look out for when I am buying a health and beauty product. Simply put, I won’t touch, let alone buy, any product that doesn’t categorically say they haven’t done tests on animals in order to perfect their product. The company itself are strict adherers when it comes to abstaining from testing on animals. This alone was a major attraction for me as a customer. This product possesses some high powered anti-aging properties which are essential for any top Vit C Serum. These properties work to combat the aging process and remove wrinkles and fine lines that can appear. There are many Serums out there on the market today, but not all of them are suitable for every skin type. For example, the Obagi Systems version is one that is extremely well suited for dry and sensitive skin. In the case of the Kleem Serum, it has been formulated and proven to be suitable for all skin types. This is a great benefit as lots of people don’t actually know what skin type they have. It can be hard to correctly judge your skin type as it’s not an exact science. Take me for example – I have quite an oily forehead, yet my cheeks are very dry and sensitive. This is another key element that a top Serum needs. Collagen is vital in keeping our skins strong and supple which then goes on to help our skin remain youthful. By supplying both strength and flexibility to our skin, collagen is vital in ensuring that our skin remains youthful and energetic for as long as possible. Acne is one of those skin ailments that you wouldn’t wish on your worst enemy. It’s noticeable; irritable; and damaging to your mental and physical health. It’s also quite hard to combat. One method that has proven to be effective in combatting the effects of acne is by regularly using Vitamin C Serums. Such a method of treatment can work to clear up acne as well as preventing breakouts from occurring. By working to improve and protect your skin from such ailments as acne, this makes this beauty treatment a great preventative technique. Personally, this was massive benefit for me. There are many Vitamin C Serums that simply don't work well with makeup. Their formulas are not suited to coincide with any other overlying layer such as makeup. However, they have taken into account that a huge percentage of the world’s population wears makeup on a daily basis. As such, they have created a Serum that instantly penetrates into your skin, thus causing no conflicts with any moisturizer or makeup that you wish to apply on top of it. For a complete look at the numerous benefits, check out my article on the topic. Just click on the image below! The product is constructed here in the good ole US of A. The formula uses only the highest quality ingredients that are 100% natural and organic. 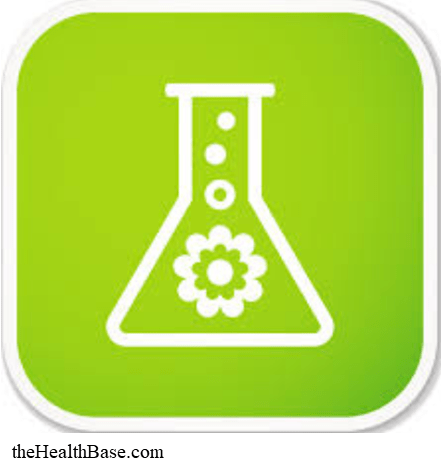 There are no unnecessary chemicals or artificial substances added to the formula which is a massive plus. Hyaluronic Acid – this is a common ingredient in such a product. The key benefit this ingredient provides lie in its ability to draw in large amounts of moisture which hydrates your skin. This is hugely beneficial for the whole Serum process. Also, because your body naturally produces Hyaluronic acid, it means that there won’t be any adverse reactions. Aloe Vera – this ingredient is a mainstay in pretty much every beauty or cosmetic product that there is. Aloe Vera juice is collected from the leaf of the same named plant. This juice has incredible anti-bacterial properties which has massive positive impacts on your skin. Aloe Vera also supplies Vitamin C Serums with anti-inflammatory elements which works to ease any facial redness or irritation that you may have on your face. This ingredient is so powerful that some companies even produce a drinkable version of it – this drink is commonly used to battle stomach ulcers. Vitamin E – this vitamin is highly sought after as it has been proven to repair and heal damage done to skin. This is hugely beneficial for a treatment that is being applied to your face as it can work to counteract the effects of acne, rosacea, eczema, and any number of other facial ailments. Arginine – this ingredient is an amino acid which works to boost the production of collagen in your skin. Overall, this will mean that your skin’s strength and suppleness will be increased. Skin healing and overall effectiveness will then be expedited. Jojoba Oil – this ingredient is quite a new one. It has to come to prominence as the focus has shifted to incorporate more and more natural and organic ingredients. Jojoba oil was discovered to have the effect of boosting moisture as well as possessing some key antioxidants. Witch Hazel – this is the ingredient with by far the coolest name! 🙂 In terms of what it does, Witch Hazel works to tighten your skin as it is a natural skin toning agent. It must be noted that the natural effect of this ingredient is to dry out your skin, so it’s important to use a moisturizer as well after using your Serum. The company offer several different package types for you to choose from. This ranges from single bottle packages to four bottle packages plus a moisturizer, and many variations in-between. I have tried several of these packages and, overtime, I've narrowed it down to which I believe is the best deal. It’s my opinion that the three 1oz. bottles package is the best in terms of value for - it's certainly far superior in terms of cost effectiveness to the single bottle package. Buying the three bottle package is not only cheaper in terms of per bottle, it also saves you both in time and effort as you’ll just have to make the sole purchase rather than three separate ones. A common query that I get regarding the three 1oz. bottles package it that some people are worried that the Serum in the second and third bottle might spoil before you get to use them. From my own experience, I have not found this to be the case. I put my three bottles into my fridge the minute that I receive them, only taking the bottle out that I’m going to use. The fridge will keep the cream in the other two bottles safe and protected until you need to use them. The super effective container also adds to the protection and longevity of the cream. Additional Note: I’ve also tried the company packages that offer a Serum as well as a moisturizer. While there’s nothing particularly wrong with the moisturizer, my advice is still to stick with the three 1oz. bottles package. Many people get tricked into thinking that they should be using products from the same brand. Sometimes this is the case, but with Vit C Serums I don’t believe that it’s necessary to use a cream and a moisturizer from the same brand. It’s far wiser to locate a Serum and moisturizer that is best for your skin, regardless of whether they are made by the same company. With that said, I use a moisturizer from a competing brand and find that it’s much more beneficial than the one supplied by Kleem. There’s nothing wrong with this – we all live busy lives after all. Even though we at the Health Base always encourage our community to read our guides and articles, we understand that a certain percentage simply don’t have the time to do so. So, because we're a helpful bunch of guys and gals, we incorporate product reviews into our site. That way everyone is accommodated. The second reason is that we feel that we owe it to our community to share with them what we have found. For every guide and article, the Health Base team spends quite a considerable amount of time and energy researching and testing different products and methods in order to find out what is needed to make the best one. Therefore, we feel that it would be a bit of a waste on our part if we didn’t then share what we’d found. Why spend all that time narrowing down the search and pondering the questions that matter, only then to not share the best solution?